Bolognina (‘the little Bologna’) is the affectionate local nickname for the Navile neighborhood north of Bologna. This area of the city isn’t mentioned much in travel guides since you won’t find typical tourist attractions around here. 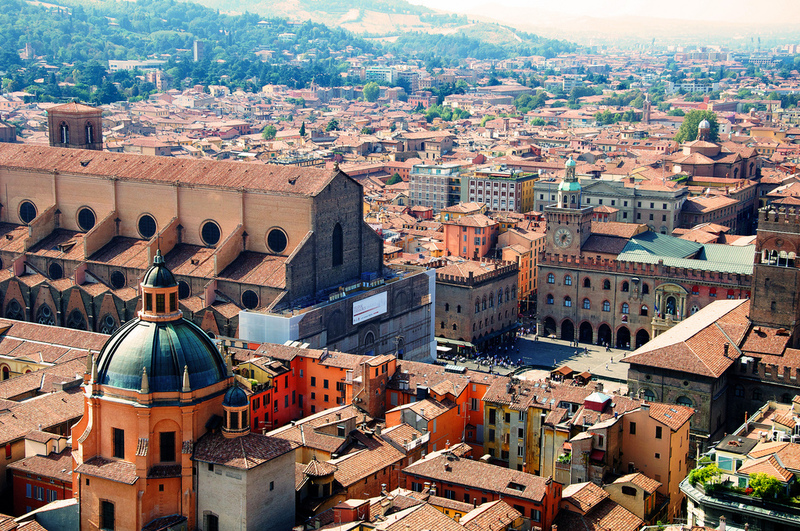 Bolognina may be little, but it’s a big draw or those who want to explore the genuine, vibrant local culture of Bologna. Chiesa del Sacro Cuore di Gesù (The Church of the Sacred Heart of Jesus) fosters the largest church congregation in the whole city. Run by the Salesian fathers, it was built over a period of roughly 60 years between 1864 and 1928. Today its colossal 60-meter dome stands clearly visible from as far off as the Central railway station, welcoming wandering souls to the town. Inside the dome, soft colored patterns of light wash over visitors from the stained glass windows above, as well as a great organ standing under the main door with 3 keyboards and a full 3000 pipes. Outside on the facade, a mosaic of Jesus shows passerby his sacred heart which gave the church its name. Part of the Modern Art Gallery of Bologna, the Museo per la Memoria di Ustica opened in 2007 to remember the 81 victims of the Ustica disaster. It displays the sobering wreckage of the DC-9 plane that was shot down on its way to the airport of Palermo, now broken into over 2000 separate pieces. Surrounding this you’ll find an artistic installation by Christian Boltanski, a composition of 81 lights on the ceiling and 81 black mirrors to represent the victims of the disaster. The museum also has a thoughtful exhibit centered around 9 black cases which contain some of the victim’s personal belongings, but the cases themselves are deliberately kept out of view. Visitors are only given access to photographs of these objects, signifying the attempts made to reconstruct the truth around this tragic event. Housed within a former produce market, the Ex Mercato Ortofrutticolo (‘the former fruit and vegetable market’) is the shining spearhead of Bolognina’s renovations and the headquarters from which all new projects for the area begin. The building’s outer wall is completely covered in a gorgeous work of graffiti by the famous street artist Blu, reflecting the exciting work going on inside to enrich the neighborhood. This beautiful 8×8 meter painting was conceived by Blu to valorize the Ex Mercato Ortofrutticolo and defend it from demolition attempts to make way for a roundabout on the property. Featuring metaphorical pop culture references from the likes of Lord of the Rings and Star Wars, Blu depicts Bologna as a conflict of two opposing forces. The bureaucratic and bourgeois part of Bologna is shown on one side as LotR’s Mordor, with the city mayor near the bottom beneath a fiery orange sky, and a big eye at the top of the two towers watching everything and everyone. On the other side of the mural, the citizens of Bolognina stand under a blue sky armed with fresh fruit, fighting valiantly to defend their way of life in their little neighborhood. The Centro Sociale XM operates inside the Ex Mercato Ortifruitticolo and also takes its name from the old fruit and vegetable market. X stands for ex and M for Mercato. It was created to promote the revaluation of the neighborhood, and as a meeting point for citizens to come together and foster community growth. The center organizes many activities for Bolognina locals, often in collaboration with other social centers throughout Italy. 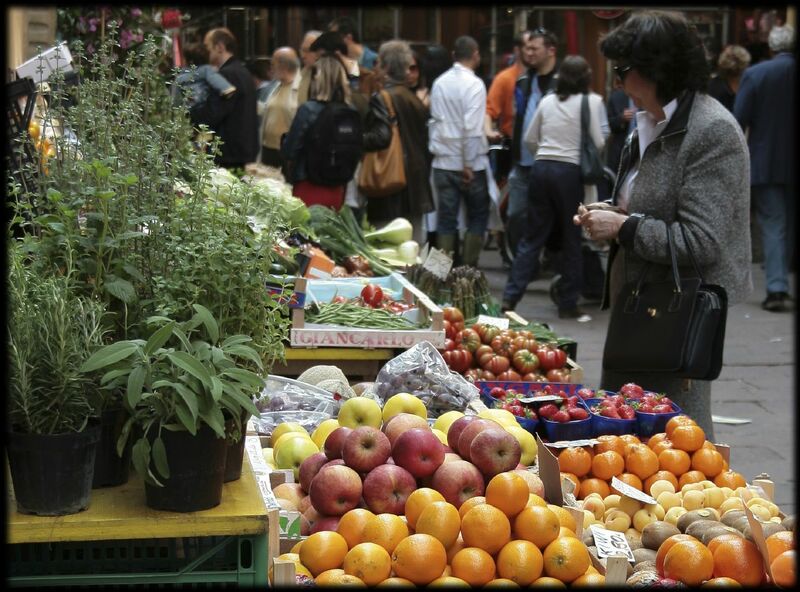 One of the most popular events organized by the Centro Sociale XM-24 is the organic market, held in Bolognina every Thursday morning. There isn’t just one old market in Bolognina, but several active ones thriving all over the area. These markets are worth visiting both to peruse the many kinds of fresh produce and products, and to share in an act of community among the people of Bolognina, who make up the beating heart of this neighborhood. The market along Via Albani is especially popular because of its sheer variety of shops, peddling not only produce but also fresh meats, cheeses, and unexpected exotic ingredients. There’s also the Cirenaica, which was recently renovated and is now covered to protect shoppers and goods in bad weather. If you’re in town between March and November, be sure to stop by the entrance of this market to visit Fabrizio Faustini’s seasonal gelateria, where you can get a sweet scoop of cream ice cream scorze di limone e cioccolato (with lemon and chocolate). As you wander from market to market outside, you’ll also notice a number of small shops and boutiques lining the streets which make for an ideal day of window-shopping. If you see something you like, don’t be scared to pop inside since the local business owners are largely very friendly. Watch out for: homemade cream gelato with lemon and chocolate!